The Mitchell company was one of the first to try out the new technique of engraving on steel plates, experimenting with steel almost 20 years before the rest of the publishing industry. He was printing with steel in the early 1830s; the general switch to steel engraving was approximately 1850. During the early years of the company, Mitchell published mainly maps and travel guides. 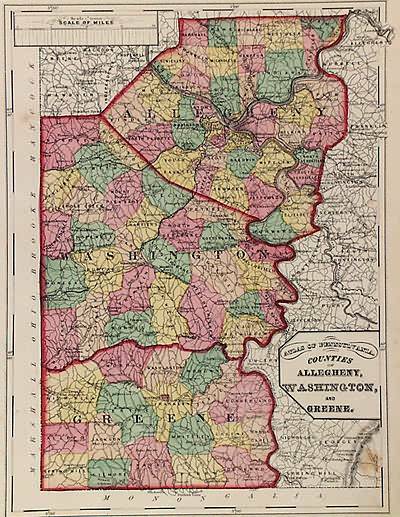 In 1860, Mitchell started producing “Mitchell’s New General Atlas”. Mitchell Sr. retired and turned the business over to his son of the same name. 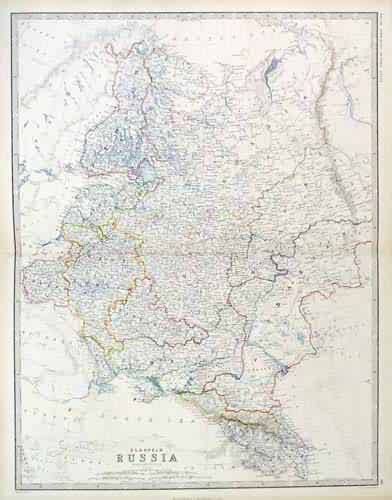 The New General Atlas was published until 1893. 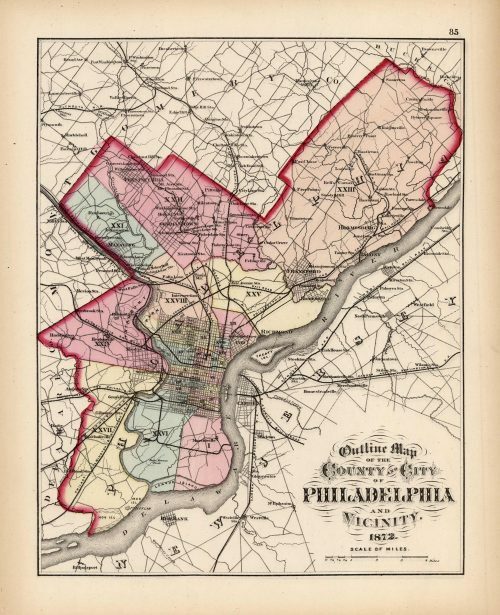 Today Mitchell maps are sought after for their fine engraving, bright coloring, and attention to detail. 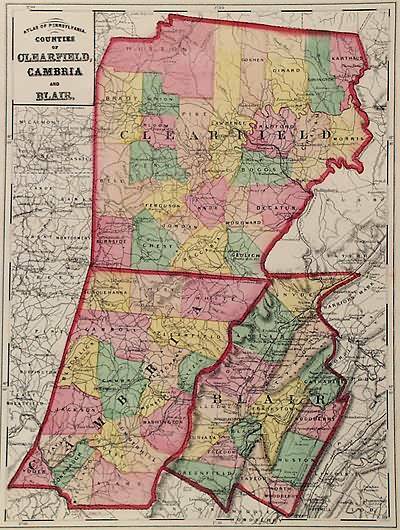 They are some of the finest maps produced in the 1860’s. 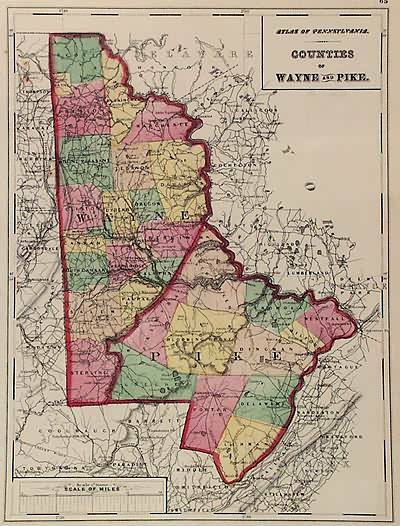 This map, produced in 1863, shows Mitchell’s famous flower border, which is only seen in the early editions of his atlases. 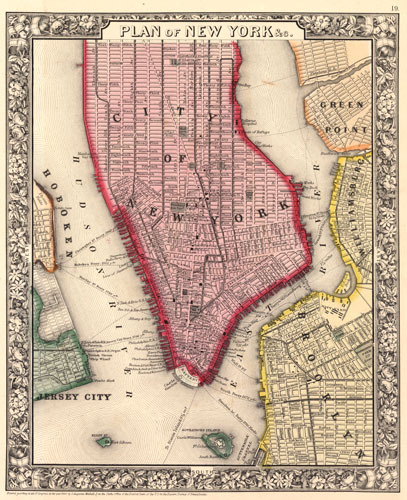 This map shows New York. 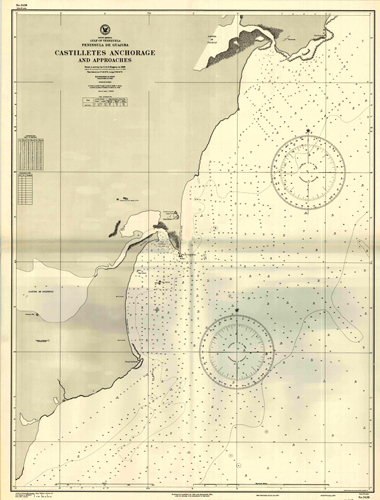 Map Maker: S. Augustus Mitchell Jr.